This griddled chicken with tabbouleh and charred leeks & cauliflower is the perfect midweek summer meal. Great served with some pitta bread and greek yoghurt. It was my birthday last week and so my mum came over to stay the night and take Will and me out for lunch. My mum had spent the day at The Barbican and I met her after work to head home. I was struggling to come up with anything to have for dinner. Most of the time I know exactly what I want to eat, it’s unusual for me to still be umming and ahhing while I’m on the way home. In fact I’ve normally decided on dinner by lunchtime. Anyway, the chicken we had in the freezer was calling my name so we went for a Mediterranean dinner of griddled chicken with onions, tabbouleh, charred cauliflower and leeks with yoghurt and salad. The greatest thing about this dinner was that it was all on the table in about half an hour despite the fact that there’s so many elements to it. 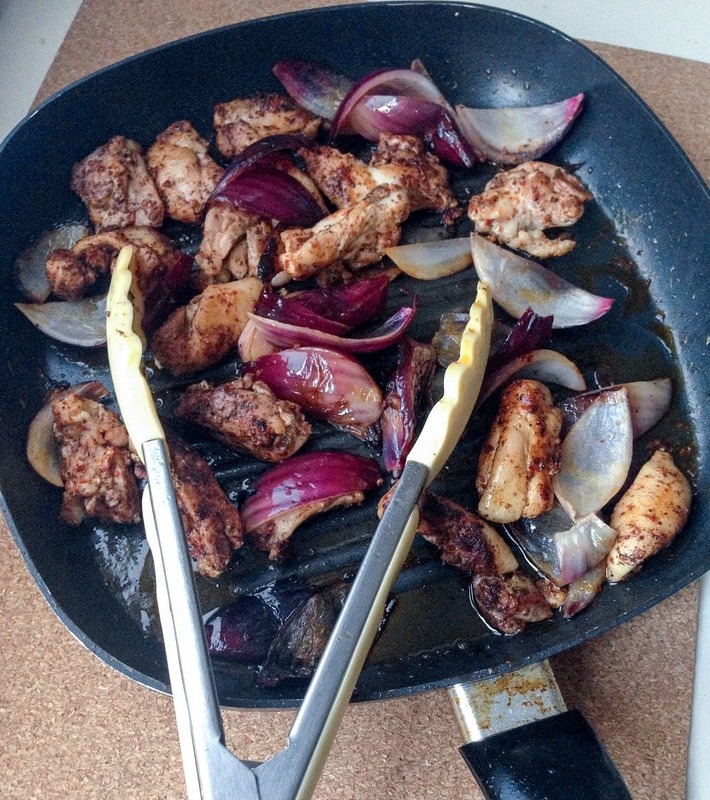 For the chicken I mixed it with sumac, aleppo pepper, salt and pepper and cooked it on a really hot griddle, adding a sliced red onion a few minutes into cooking. Sumac and aleppo pepper are two of my favourite spices, they both add so much flavour to anything you add to them. I love sprinkling sumac over a salad or some homemade hummus to add that citrussy freshness. Tabbouleh has always been one of my favourite foods. My mum used to make it a lot when I was younger and I just think it’s such a refreshing summer salad and goes perfectly with a meal like this. Admittedly the cauliflower and leek were a pretty random addition. For some reason I’d really been craving leeks recently so I picked them up without any real plan for what I was going to do with it. We also had a cauliflower lying around that needed eating so I decided to roast them with a bit of smoked paprika and they turned out pretty great. Preheat the oven to 180°C. Heat a griddle pan over a medium high heat with a little olive oil. 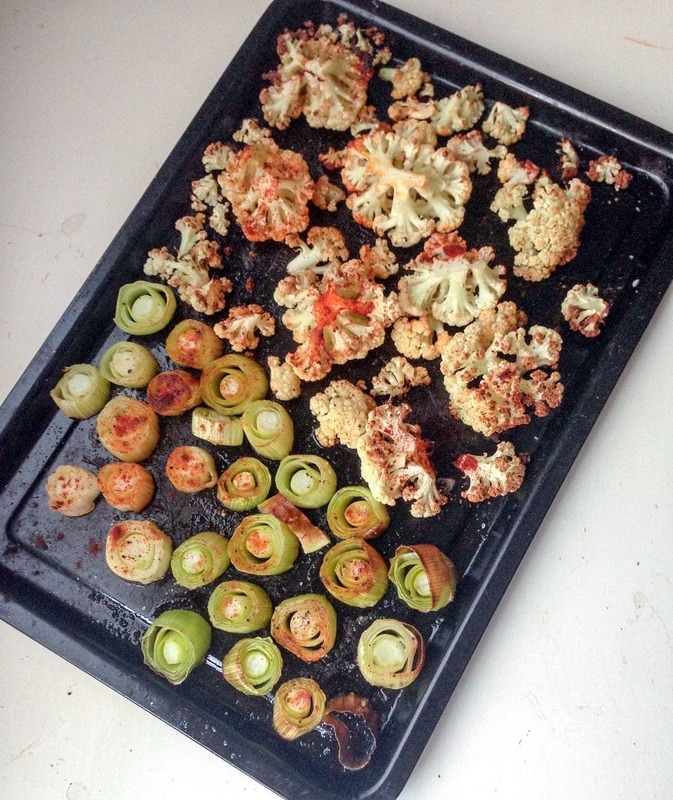 Throw your chopped cauliflower and leeks onto a baking tray with the smoked paprika and a drizzle of olive oil and place into the oven for 20-30 minutes. While the vegetables are cooking mix the chicken with the sumac, aleppo pepper, salt and pepper in a bowl. When the griddle pan is hot add the chicken and spread into a single layer. After a few minutes add the red onion. 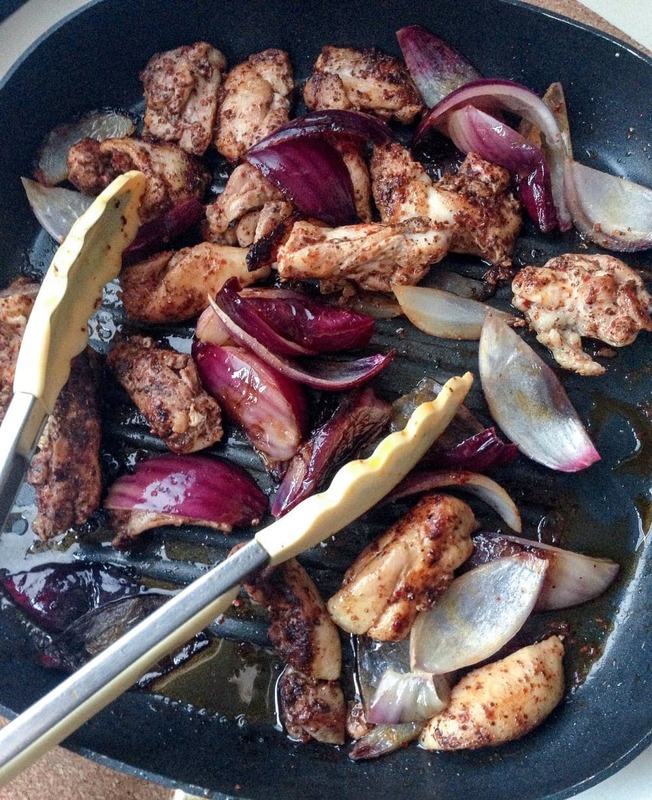 Allow the chicken and onion to cook for about 10-15 minutes, turning occasionally, until the chicken is cooked through and the onion is softened. 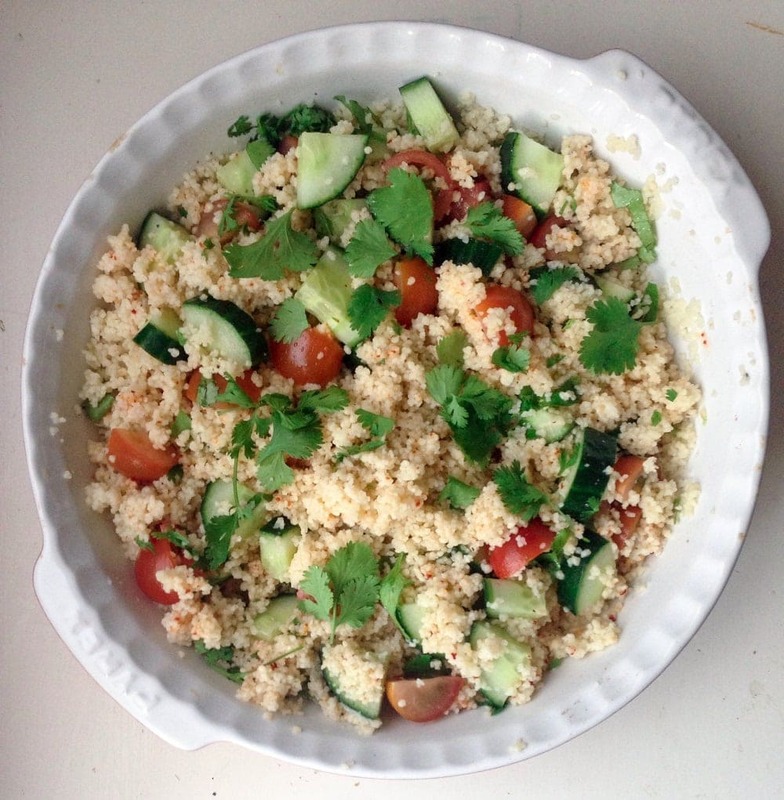 While everything is cooking add the cous cous to a bowl and cover it with double its volume of boiling water. 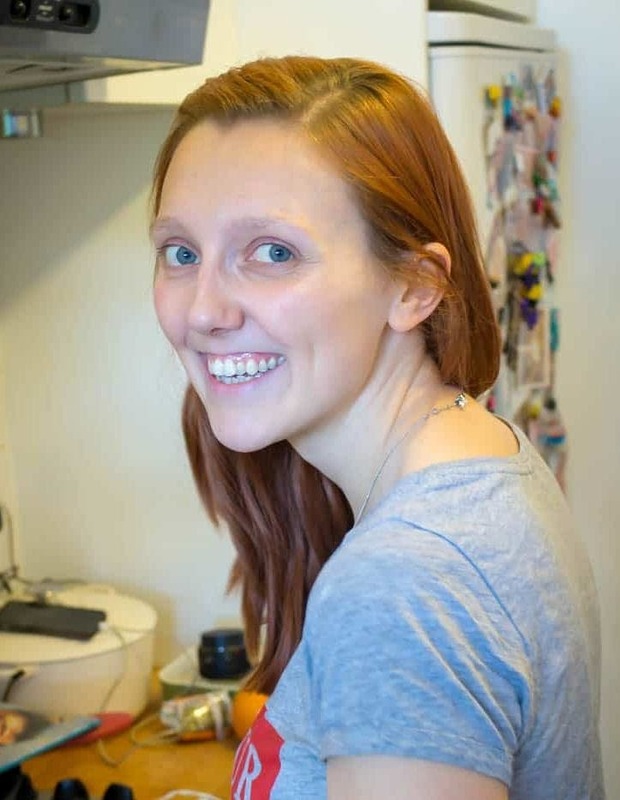 Cover the bowl with a clean tea towel and allow to sit for 10 minutes until all the water is absorbed and the cous cous can be fluffed with a fork. To finish, mix in all the remaining tabbouleh ingredients. Serve the chicken, tabbouleh, leeks and cauliflower with pitta bread, greek yoghurt and salad leaves. WONDERING WHAT TO DO WITH THE LEFTOVER INGREDIENTS YOU’VE GOT FROM MAKING THIS griddled chicken with tabbouleh, leek and cauliflower? Aleppo pepper features heavily in both this great Turkish breakfast staple, menemen, and in my turkish kofte bowls. Cauliflower is the star of this cauliflower and chickpea salad. Finally, I serve my butternut squash and cashew nut curry with cous cous.